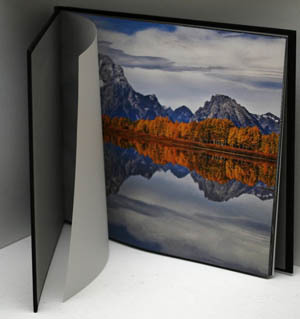 This coffe table book in the size of 11 1/2" by 15" is a Limited Edition of 100 copies. All copies are signed and numbered (twice: once inside the front flap of the jacket and again on the last page). The book has a beautiful hard cover with window plus a jacket. 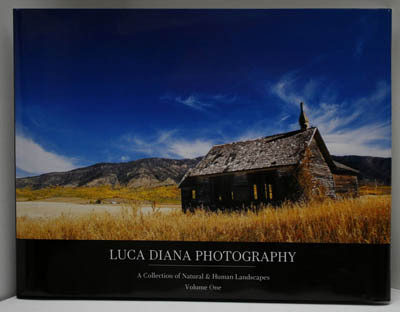 It features a selection of 41 photos chosen among some of my very favorites, some of which are printed in full page. 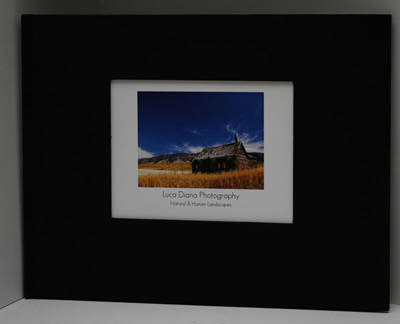 Most of the photos depict scenes from Grand Teton and Yellowstone National Parks; plus a selection of landscapes from around the world. © 2012 Gian Luca Diana. No reproduction is allowed in any form without the written consent of the author.